Per usual, Lou Teasdale did a makeup demo using a product and I immediately needed it - the obsession is real people, it's real. Since my go-to eyeshadow base is the Urban Decay Primer Potion I've never given much thought to the MAC Pro Longwear Paint Pots. When I saw how gorgeous Stormy Pink was though...into my shopping basket it went. I've been seriously into blush, dusty pink, mauve, and vintage rose shades lately and this totally fit the bill. 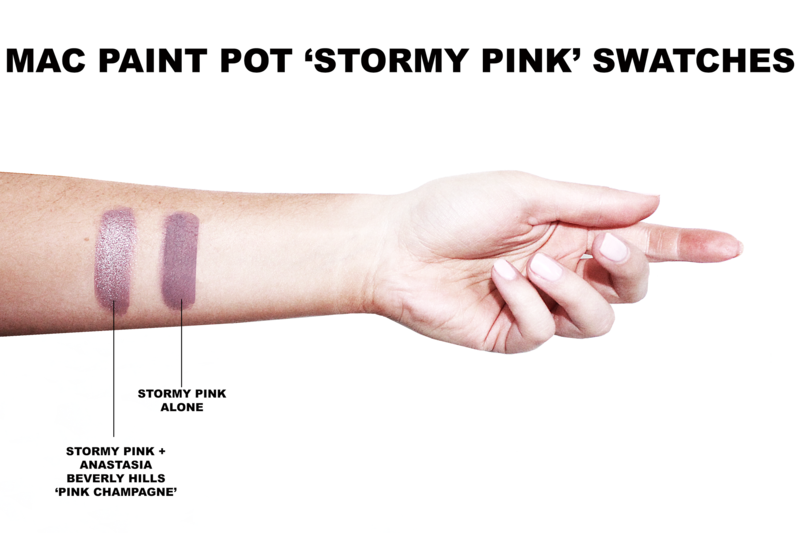 Stormy Pink is an unusual shade - a muted, cool toned, grey-pink that reads with a bit of purple (mouthful right?!). 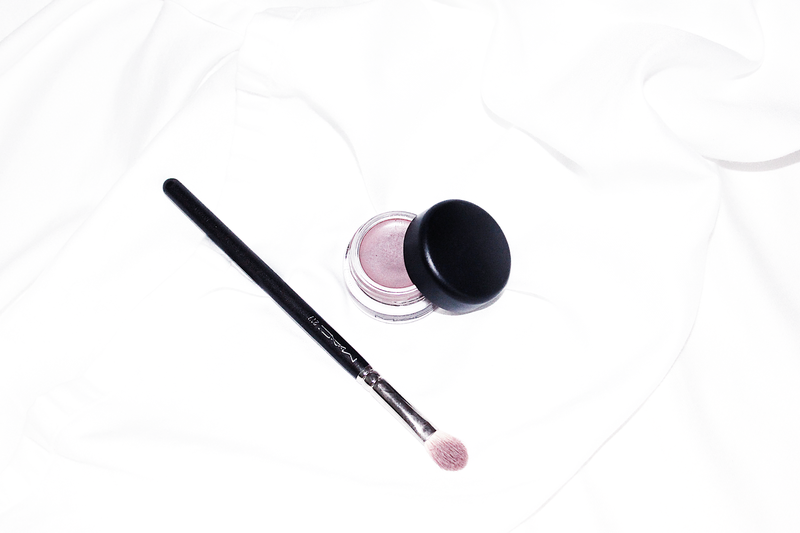 The formula is super creamy, the pigment is excellent, and it blends out easily on the lid. It's gorgeous worn on it's own or paired with other shadows on top. My favorite pairing has to be the one swatched below - worn with a gorgeous shimmer/glitter like Pink Champagne. 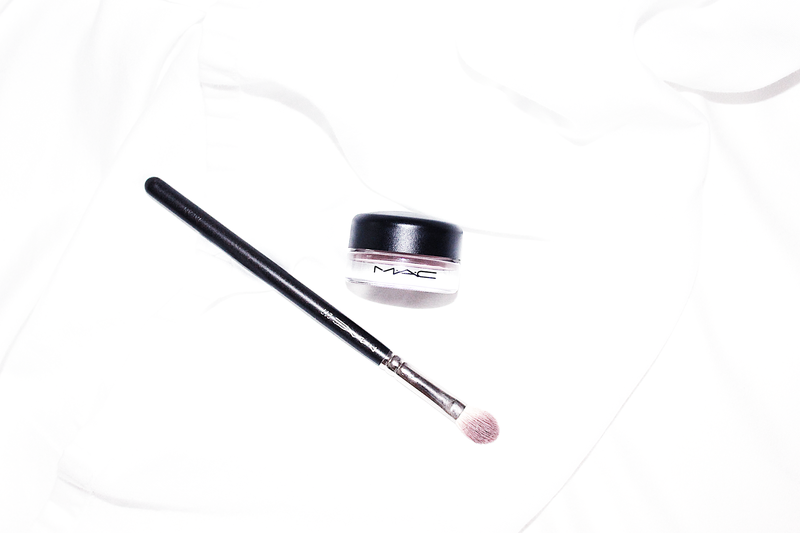 Do you own any of the MAC Pro Longwear Paint Pots? If so, what is your favorite shade to wear?